Yesterday my son sat me down in his office, which is to say, I sat on the floor of his bedroom next to the toy chest that had office-like items arranged on its surface. There was a frog clock, a small gift box holding some Beatles guitar picks and an empty tissue box with a paper towel in front of it that was decorated to look like a computer keyboard. Even though it was just a game and I wasn’t supposed to be playing myself (“No, Mommy! Pretend you’re a kid.”), I didn’t answer right away. Because, what is my favorite color anyway? I threw one out (blue?). He nodded and asked me a few more, not pretending to type or record my answers in any way. What is your favorite movie? Book? Food? They all stumped me. I like a lot of things. A palette of lush colors, plus brown; sci-fi, humor, historical fiction, memoir; goat cheese, curry, hazelnuts. Even as a fictional four-year-old, I couldn’t decide if Days With Frog and Toad trumps Nate the Great or if apples taste better than blueberries. But as a grown-up, I’m not having trouble picking a favorite food this week. 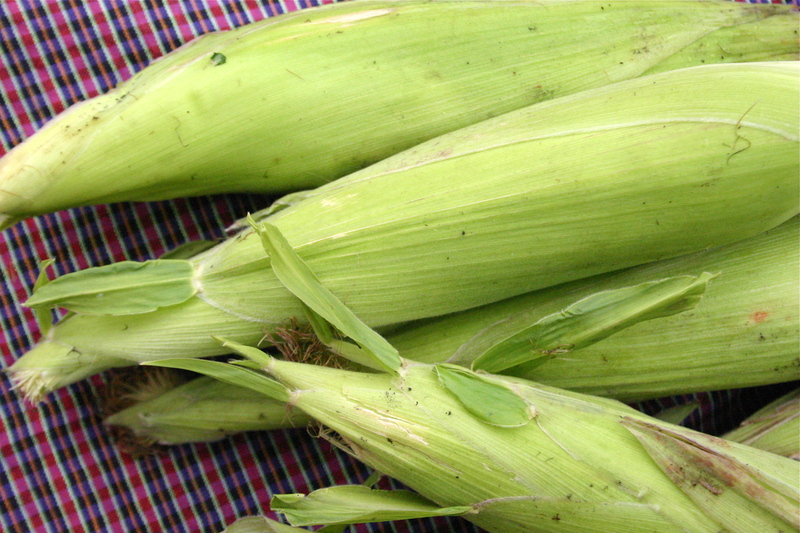 I bought six ears of sweet corn at the market from the Stoney Plains Organic Farm booth. They told me we only have another week. 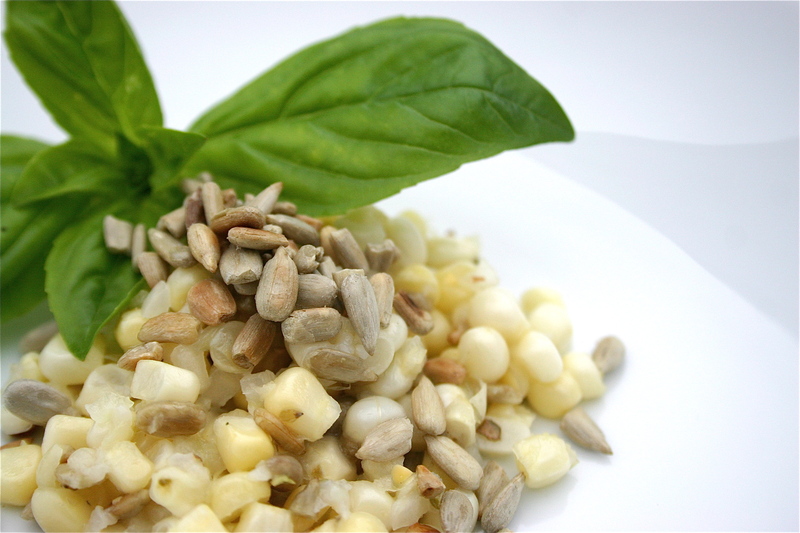 I know corn is not the building block you’re necessarily looking for in a diet. High in carbohydrates and a subsidy generator, corn is refined into dozens and dozens of products that make their way into foods of every (supermarket) stripe. Big Ag corn is one of the bad boys of the mainstream food world. 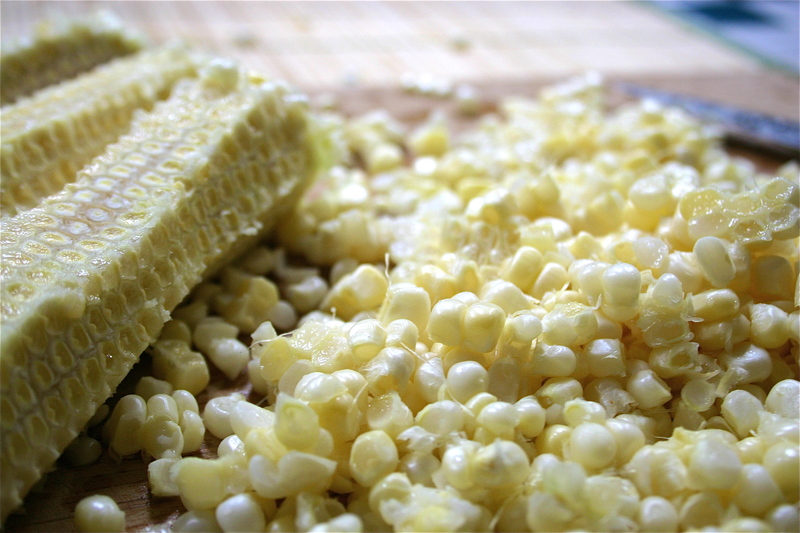 But today I’m not thinking about insecticide- and fumigant-dusted popcorn or greenhouse gas-aiding ethanol, but a simple ear of raw, organic sweet corn. The misty fog of indecision is burning off: for the next few days, corn is my starchy, sweet favorite. 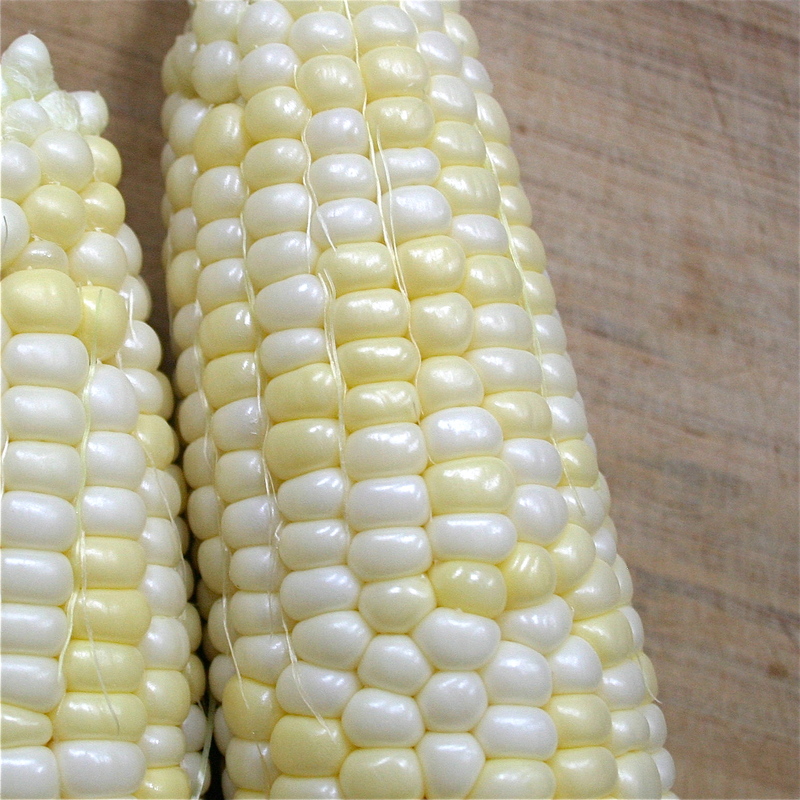 Since I so, so love to eat this vegetable without the aid of boiling water, I went looking for a recipe using raw corn to share with you this week. I found one on Heidi Swanson’s blog 101 Cookbooks. She made this recipe in July but if you serve this salad next to a hearty entrée and a slice of toasted crusty bread, it’s a good way to bridge the seasons and say a fond farewell to the receding waves of summer produce. I halved it and replaced a few ingredients based on my own preferences and what I had in the pantry. 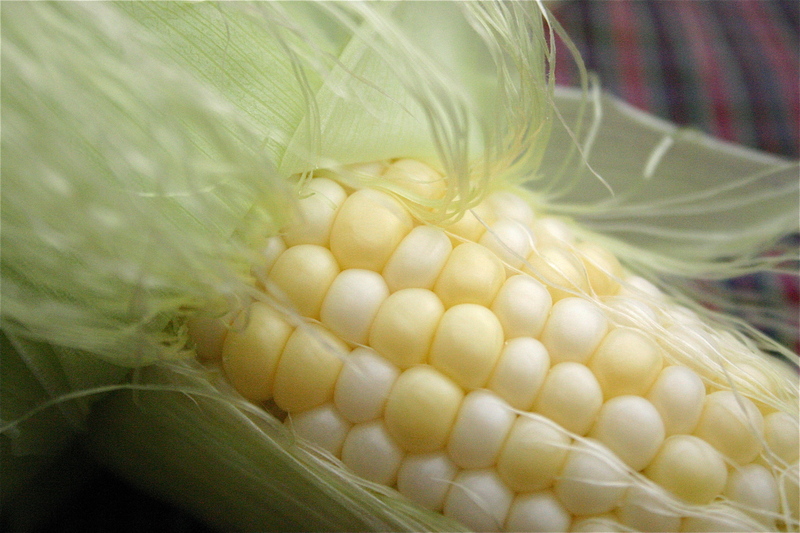 Shuck the corn and do your best to remove silk strands. 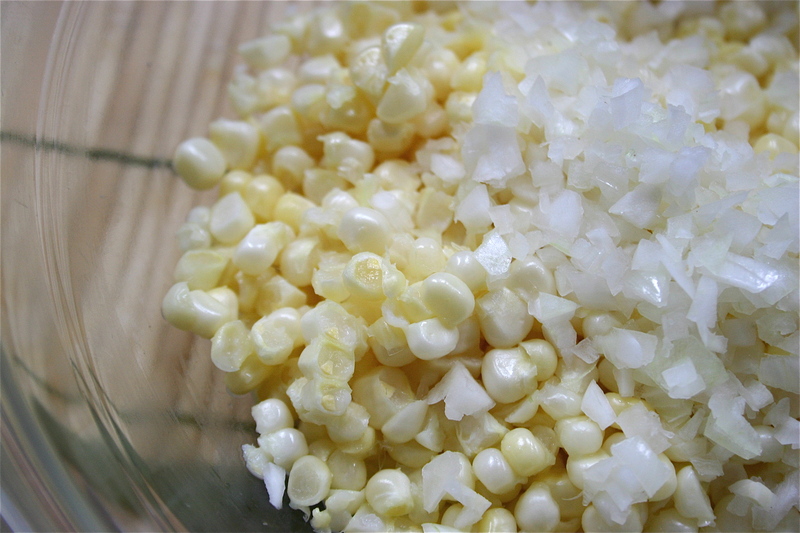 Cut kernels from the cobs and place the kernels in a medium bowl with the minced onion. 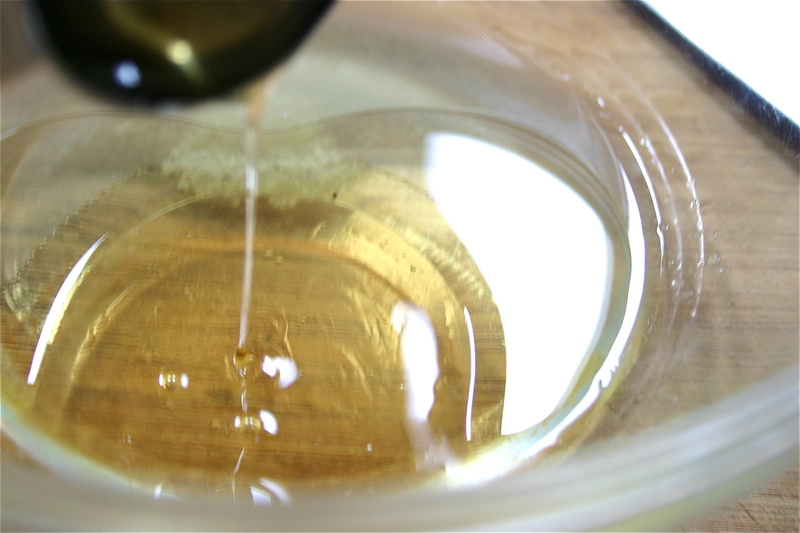 Combine lemon juice, salt, and honey in a small bowl or jar. 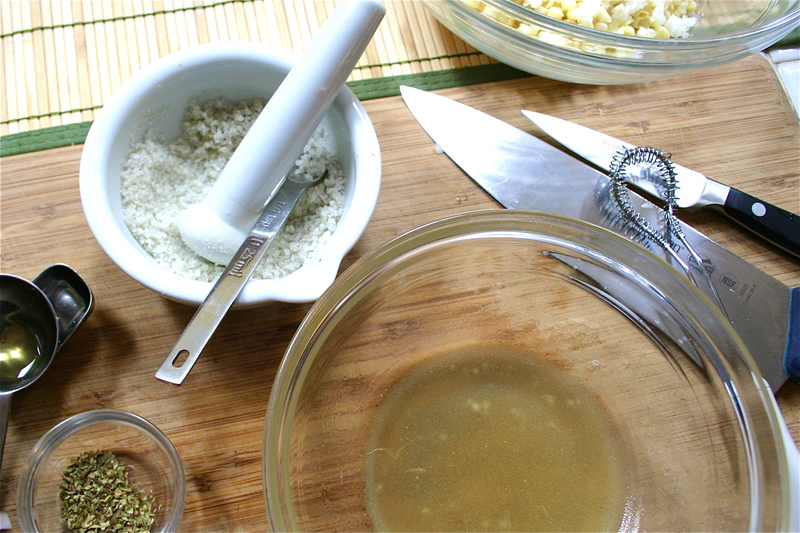 Add the oil and whisk ingredients together. 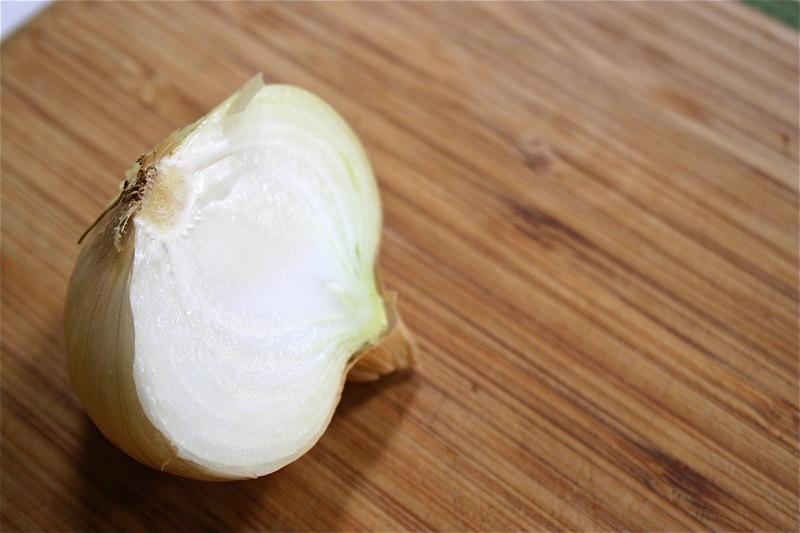 Taste, and adjust with more lemon juice, salt or honey, if needed. Swanson says this dressing should be on the sweet side and not overly tangy. 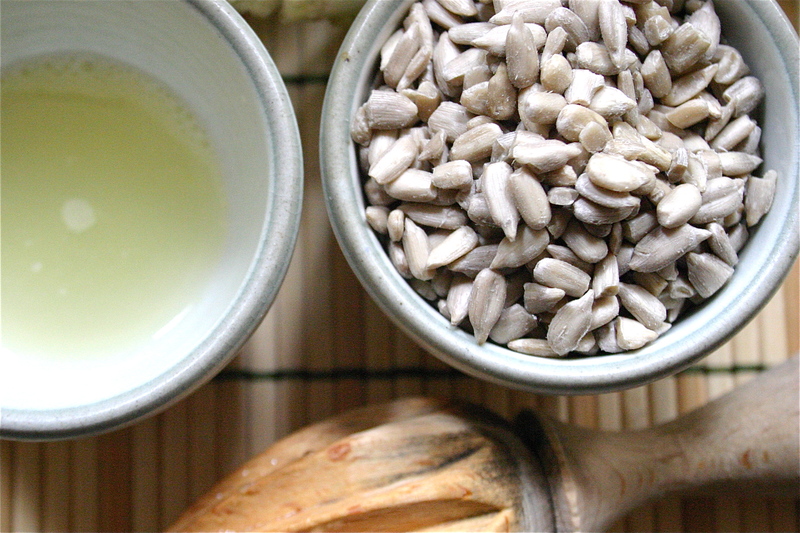 Just before serving, add the seeds to the bowl of corn along with some of the dressing. Toss well. Add more dressing to taste, if you like. 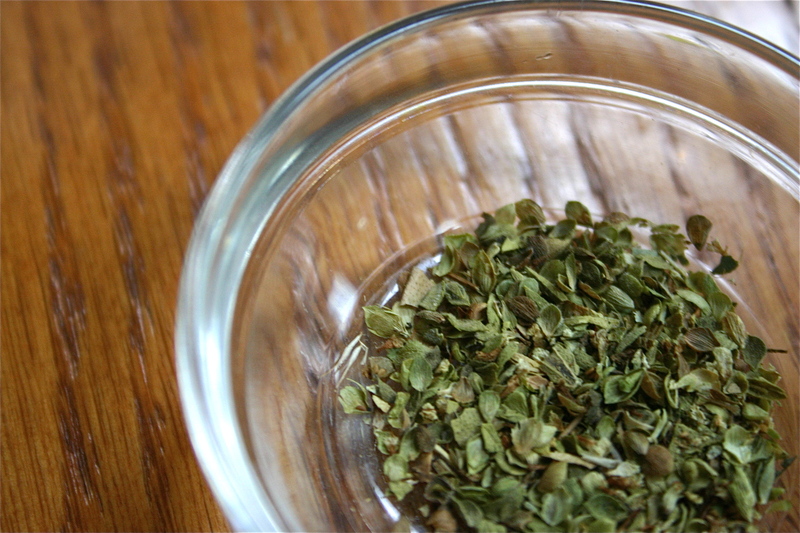 Crush the oregano and dust over the salad. Toss one more time and serve. Note: I planned to share the recipe for Fall River Vegetable Stew from Sundays at Moosewood, one of my favorite cookbooks for soups and stews. Alas, I can’t find a legal copy of the recipe online but if you have the book, look it up and give it a try. Here’s a photo on my Tumblr page. 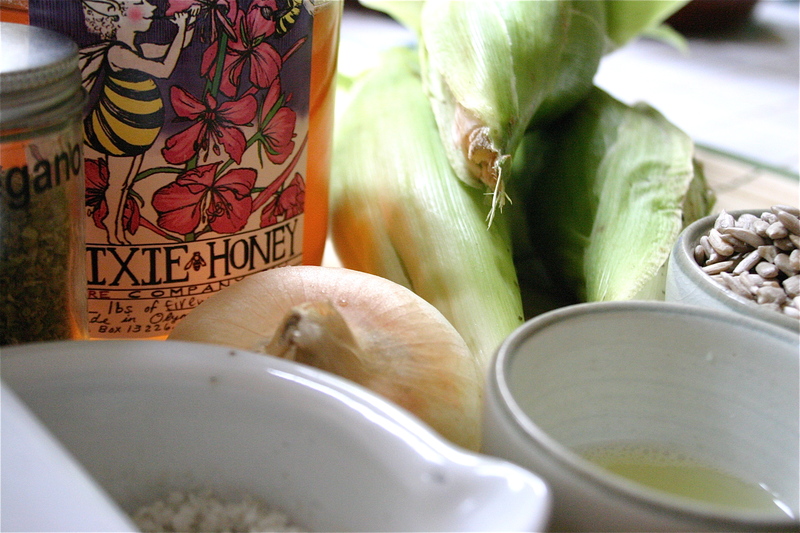 This entry was posted in Summer Vegetables and tagged Corn, Honey, Local, Onion, Organic, Salt. Bookmark the permalink.